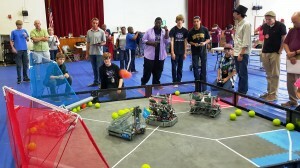 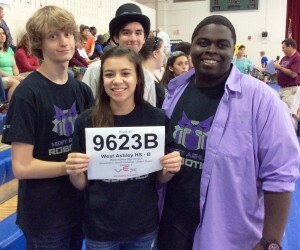 24 teams from throughout the state competed in the Oct. 24, 2015 VEX Robotics Qualifier – “The Cougar Challenge” at Lady’s Island Middle School in Beaufort, SC, but just one team left with the FIRST PLACE TROPHY: West Ashley High School’s VEX Robotics team led by their advisor Mr. Nicholas Holmes. 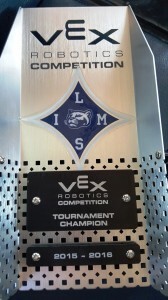 Congratulations to the WAHS Wildcats robotics team on their victory, and earning the opportunity to compete in the Palmetto State Championship this spring. Below is the list of teams that competed in the event – for the final results click here. 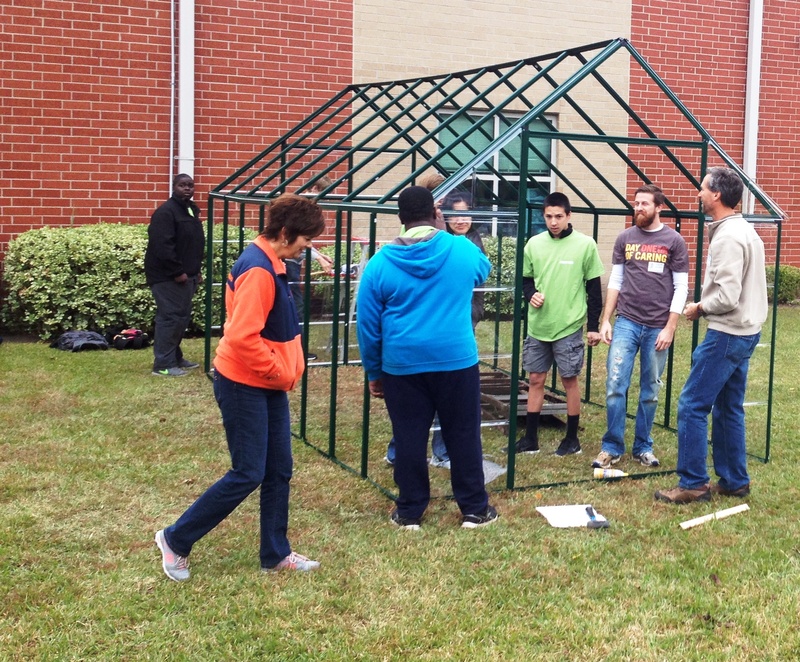 “I told the students to use the provided model as a guide and their lab manual, and using generic parts from various vendors, build a similar mechanism”, Gainey said describing the assignment. 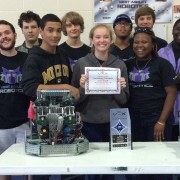 “The students figured out a way to use the supplied single phase motor and attached it to a 3/4 horsepower air compressor pump by using a direct shaft coupling and motor belt pulley speed reduction” said Gainey. 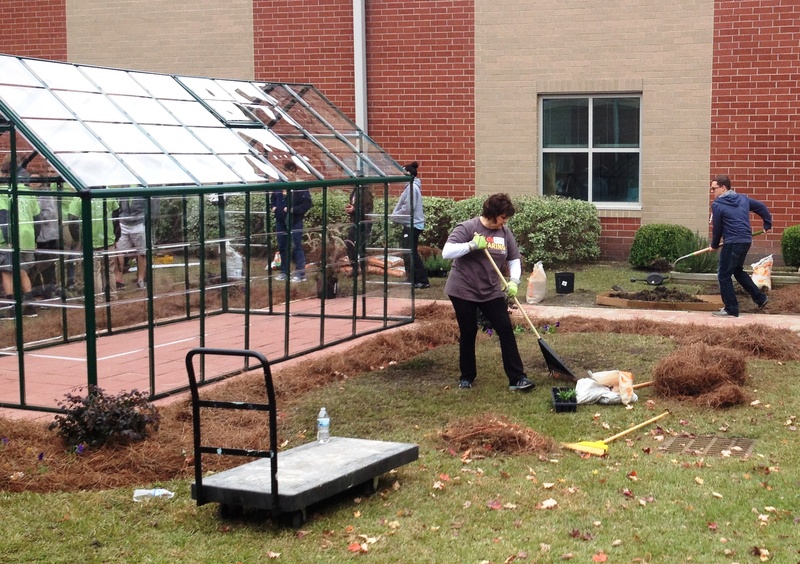 “The results have been astounding. 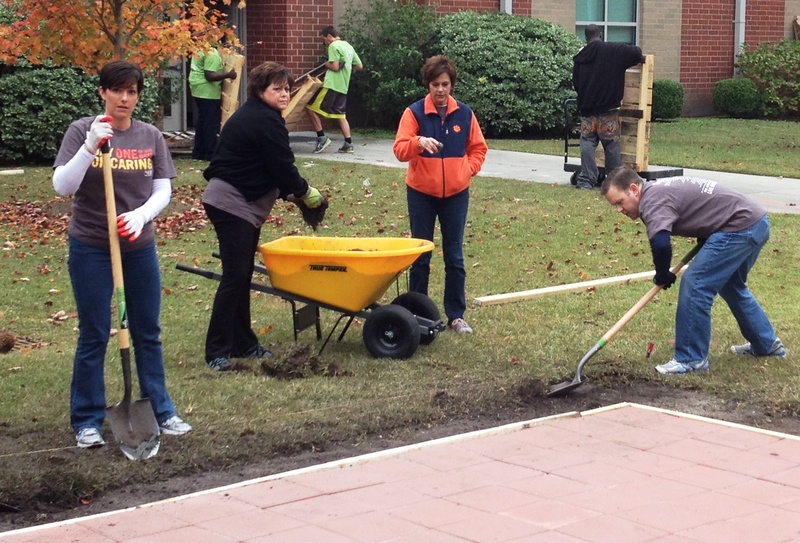 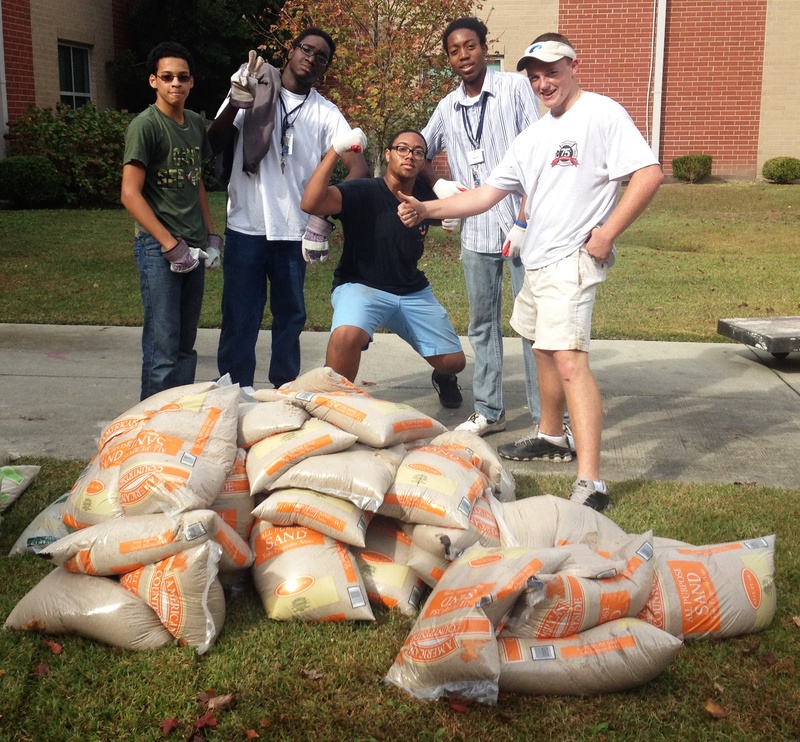 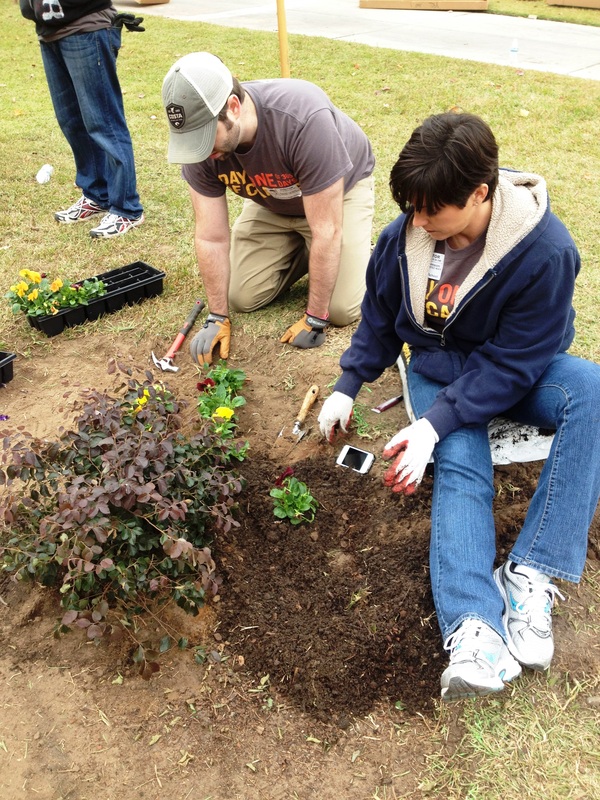 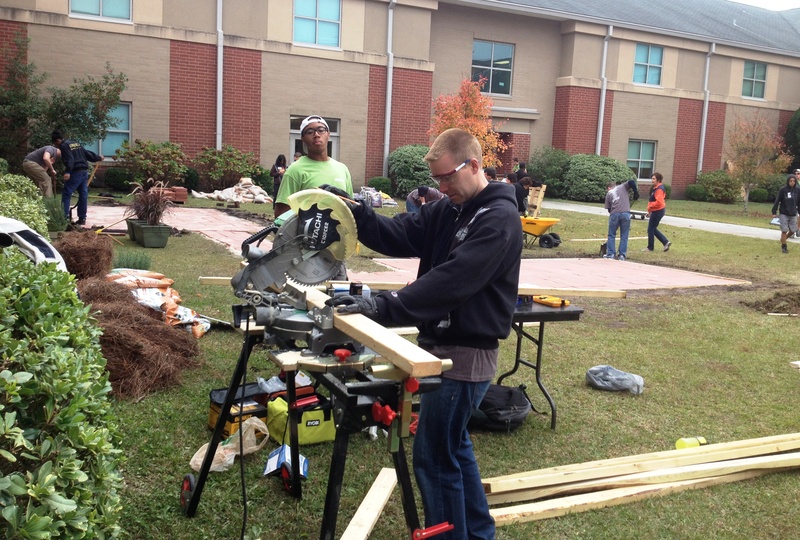 The students really used there heads with a little help from me”, Gainey added. 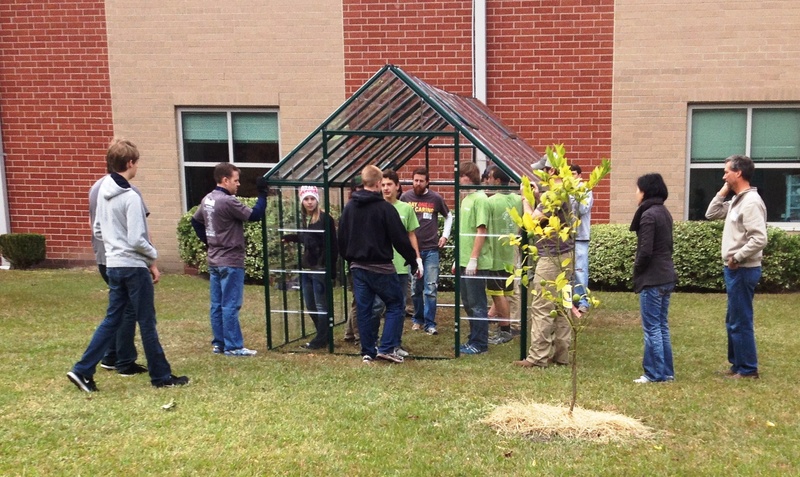 Over a year ago, several West Ashley High School teachers agreed on a goal of expanding an already fruitful partnership: Luke Hamilton’s special education students were cultivating herbs and vegetables in raised beds at the school and Jason Wheless’ culinary arts students were using what they grew in their recipes. 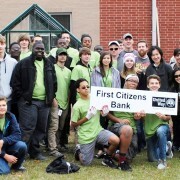 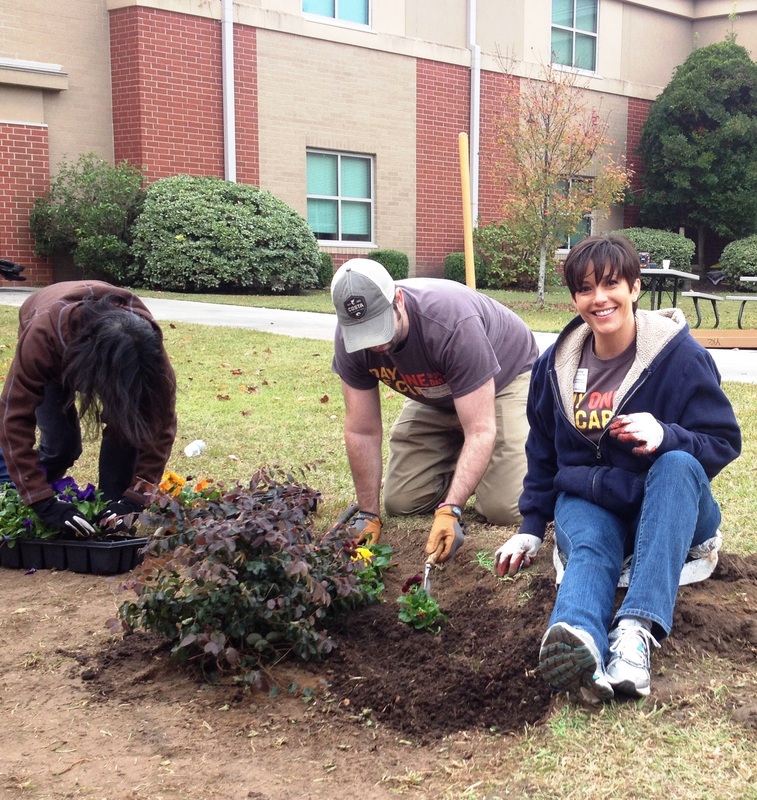 Sandy Pennekamp, the CTE Department Chair at WAHS spearheaded the plan that included 2 grant applications and culminated with a sensation Day of Caring event Friday, Nov. 14 with volunteers from Charleston area First Citizens branches and Cummins. 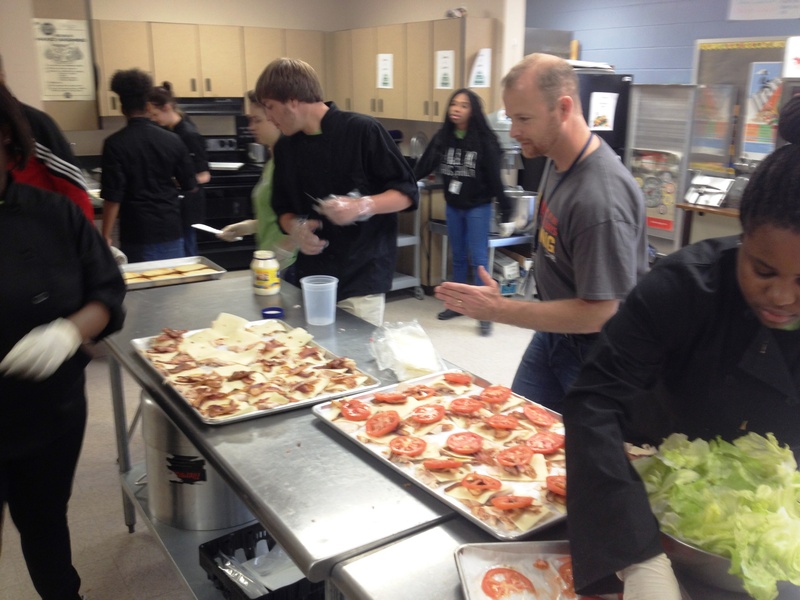 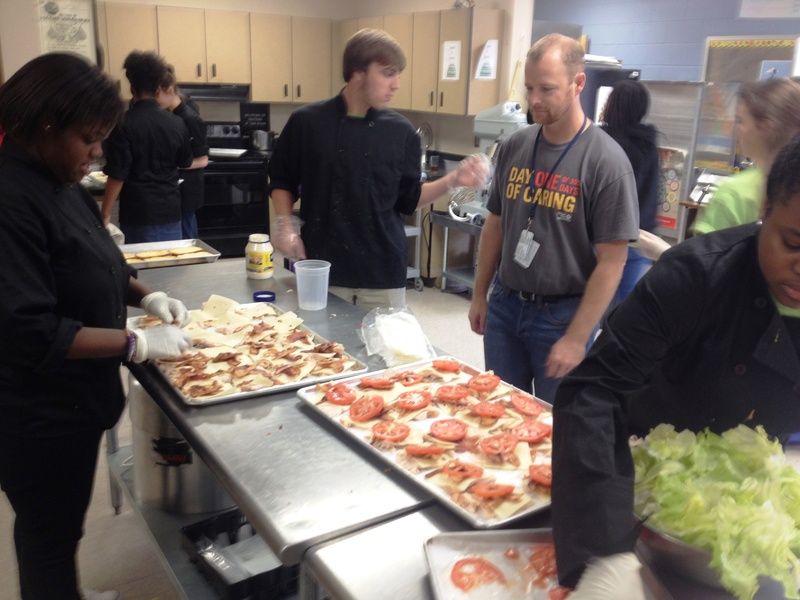 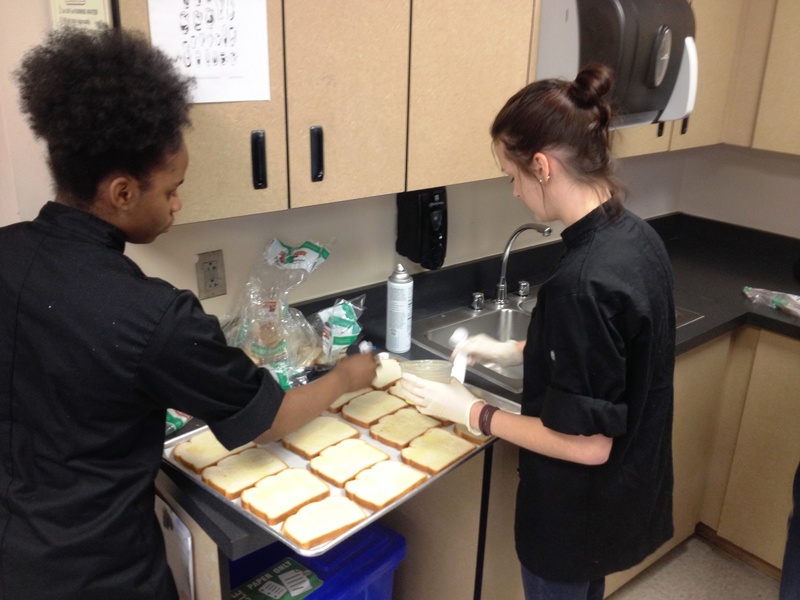 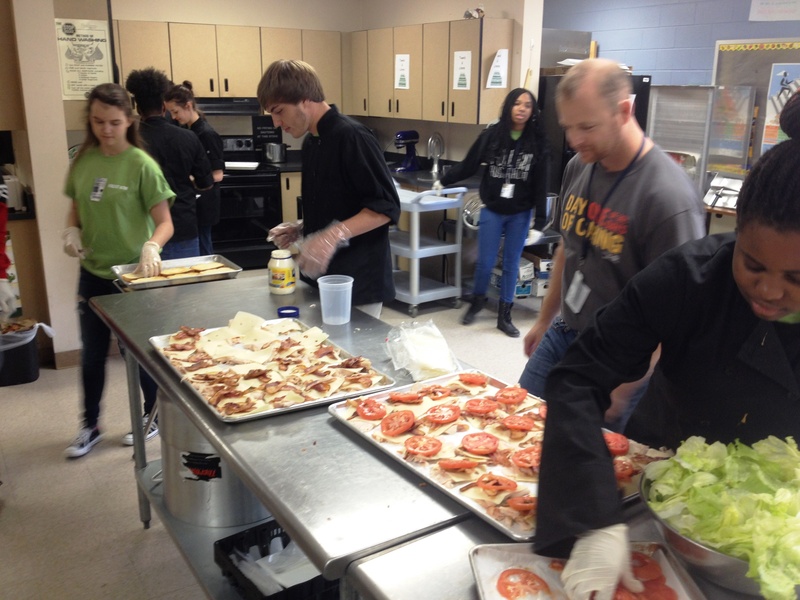 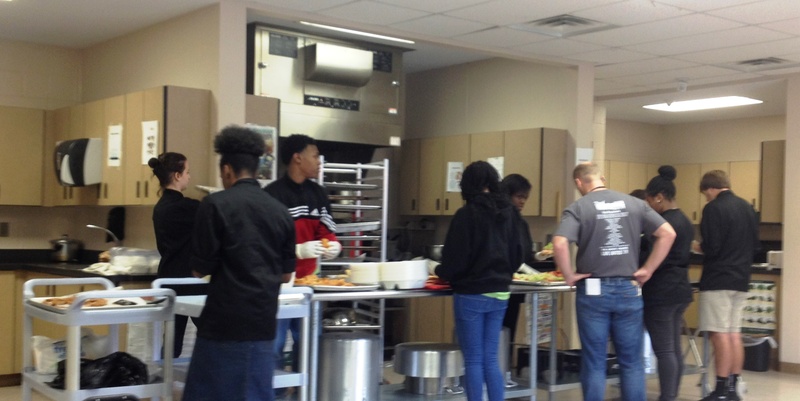 Students from the culinary arts program prepared and served a special lunch for the volunteers after the work was done. 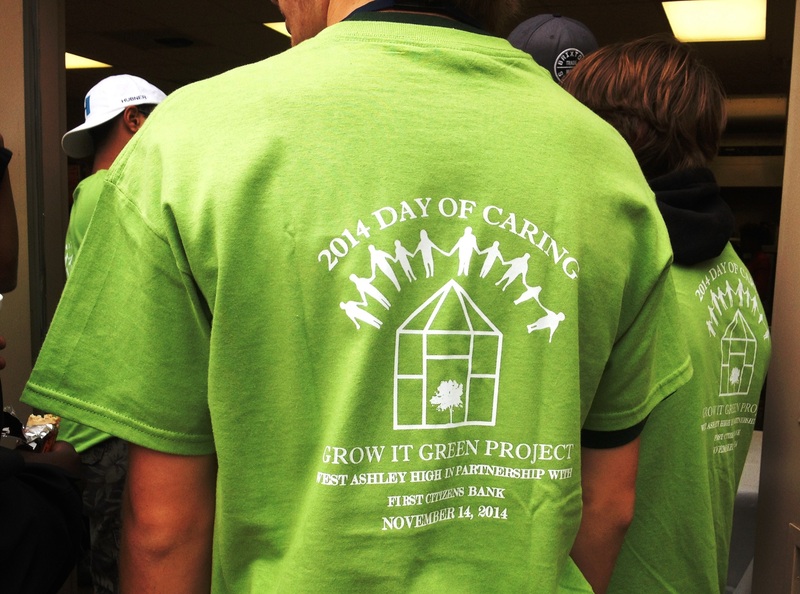 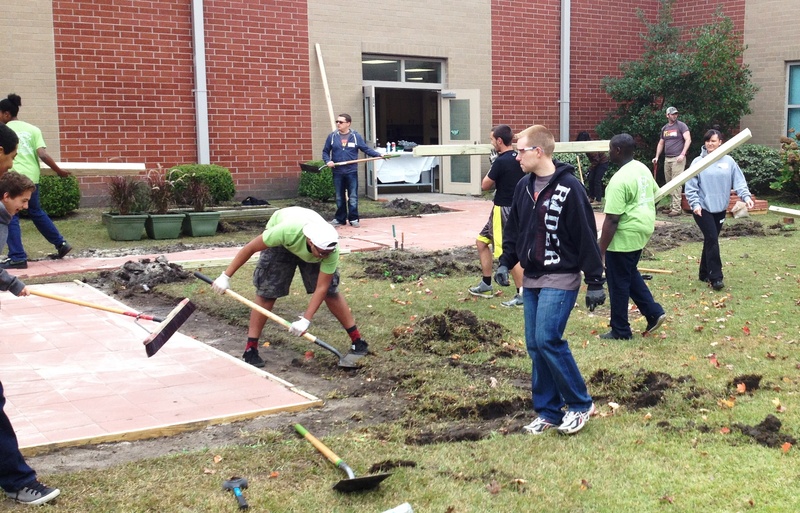 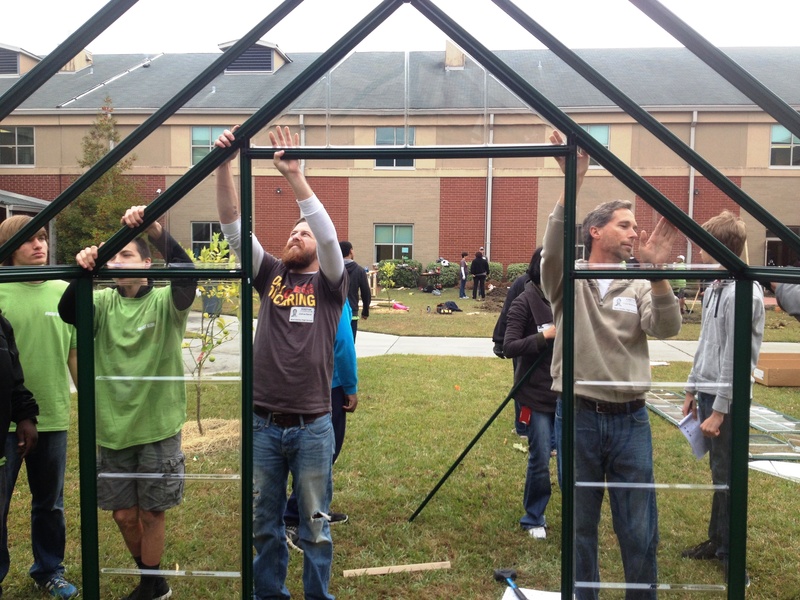 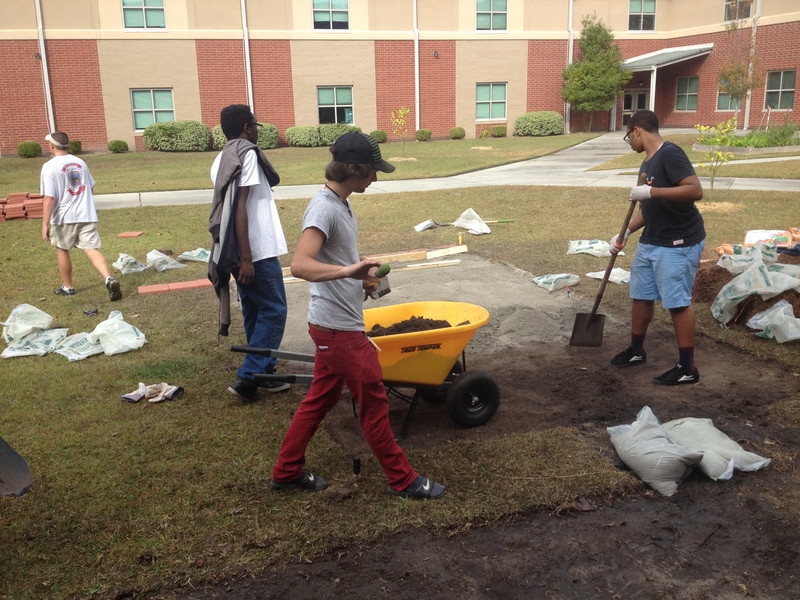 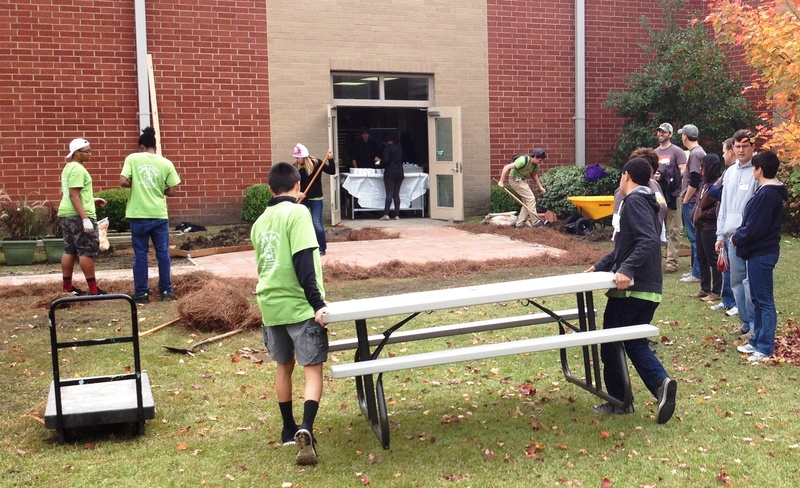 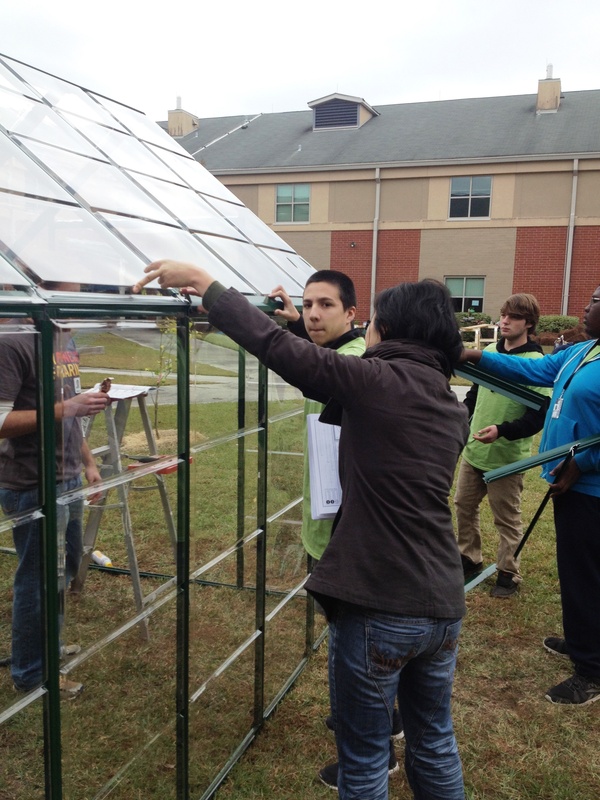 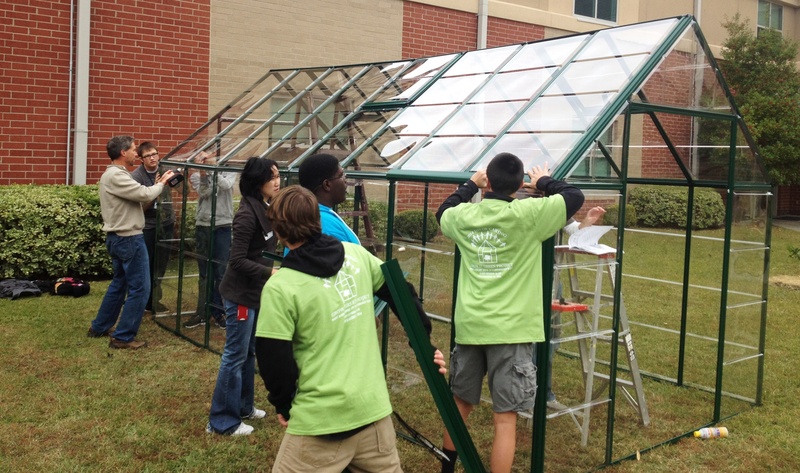 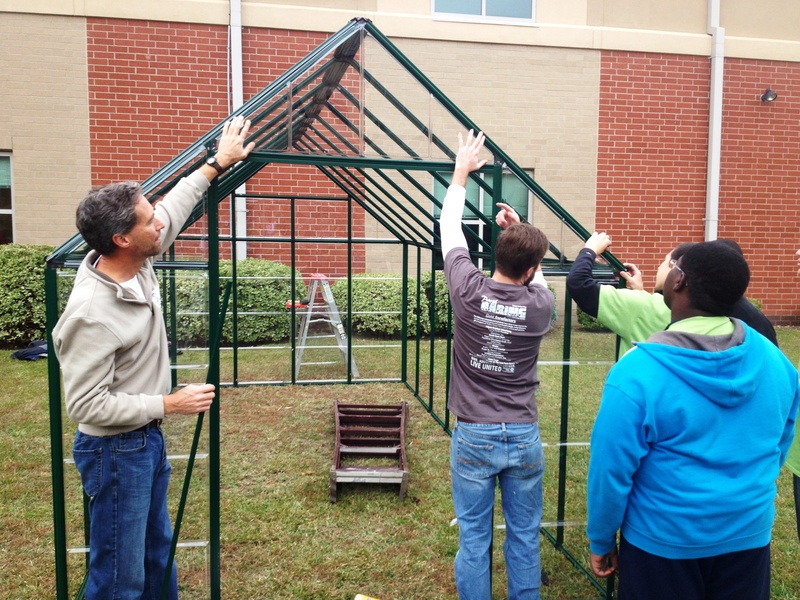 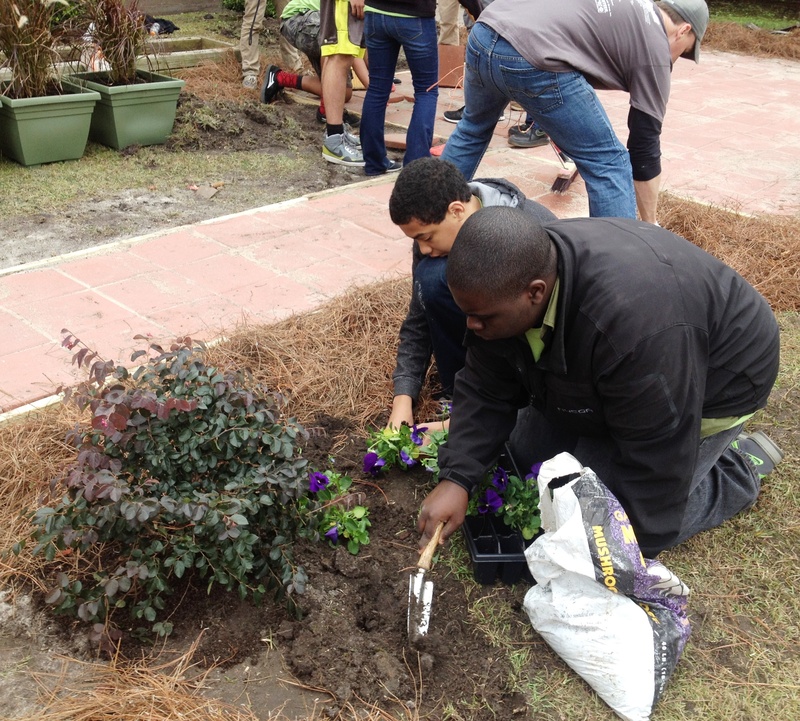 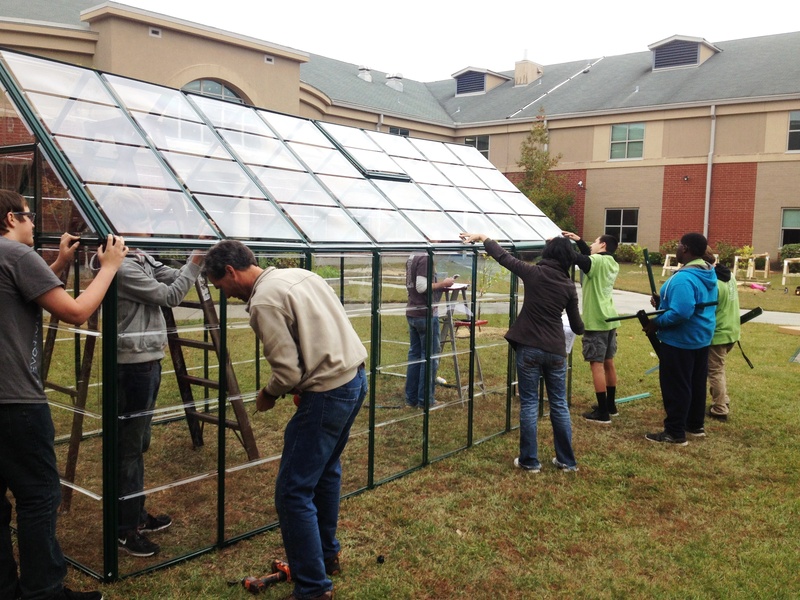 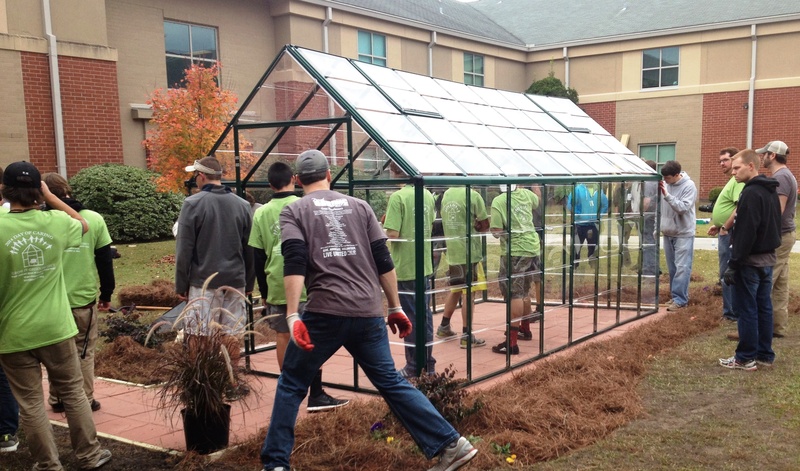 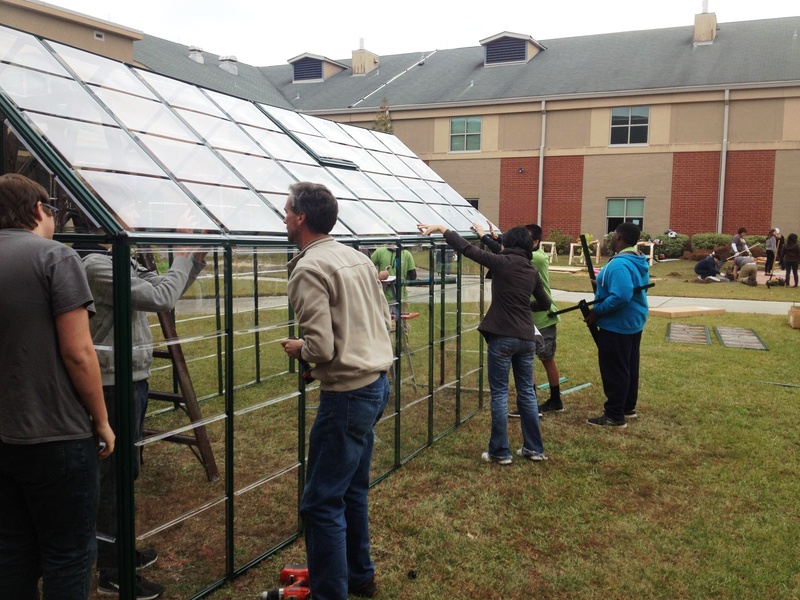 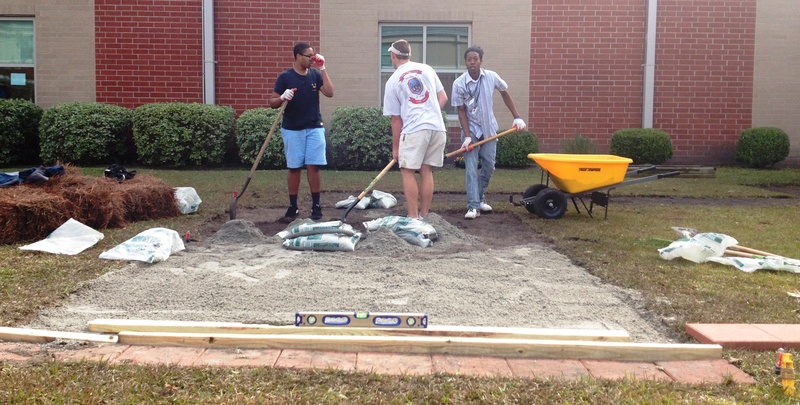 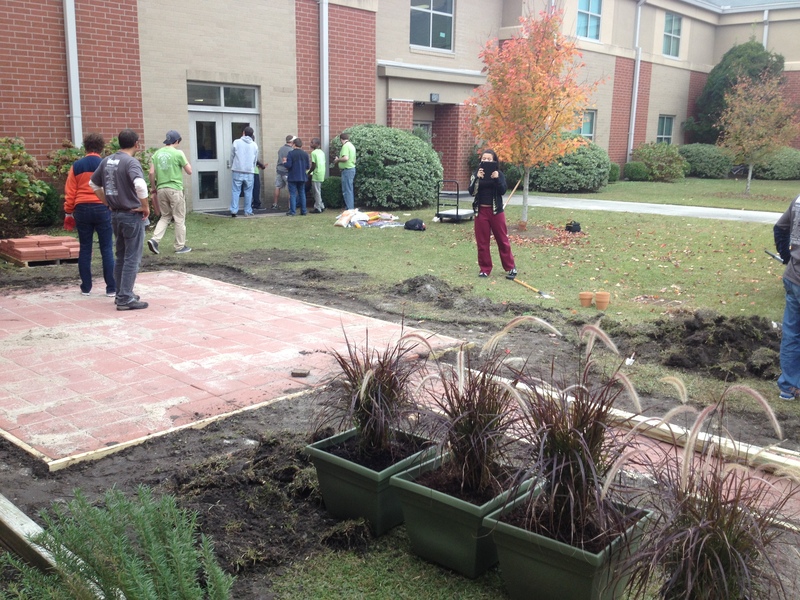 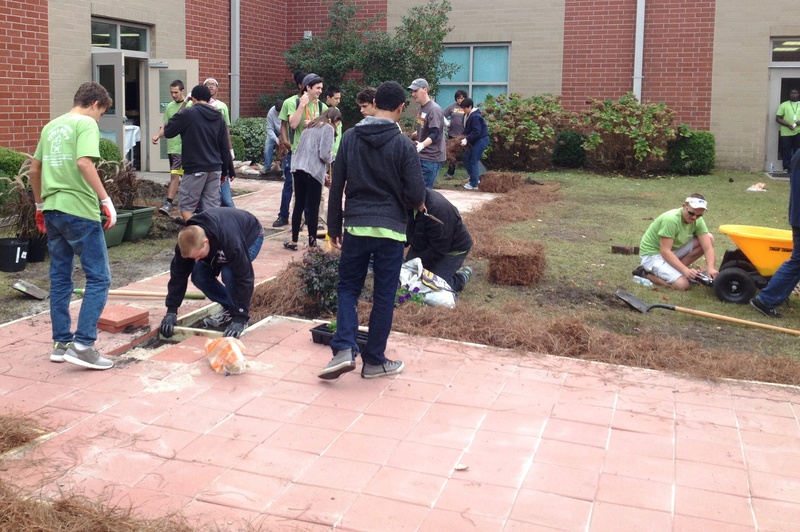 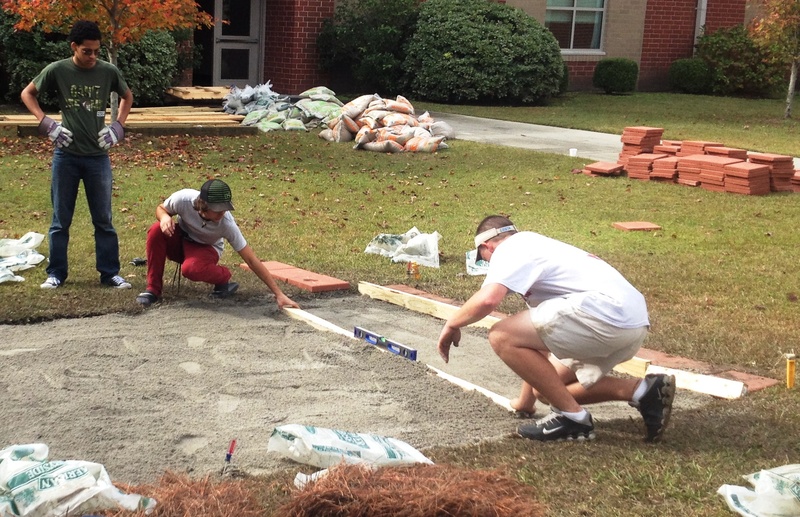 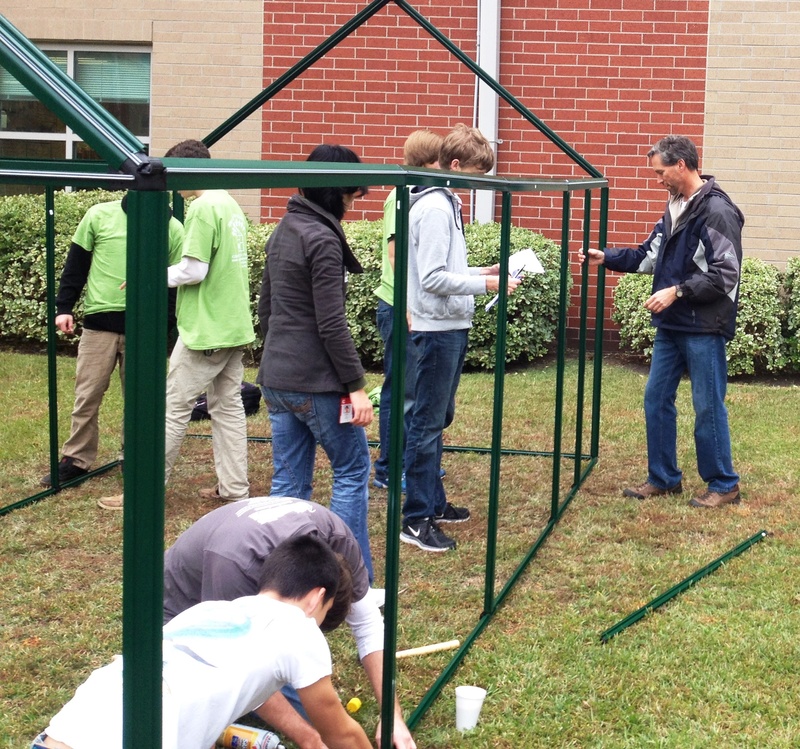 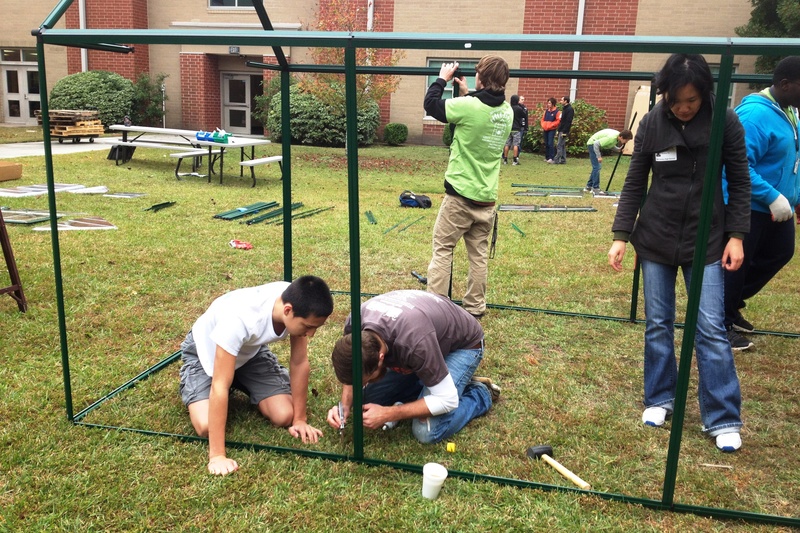 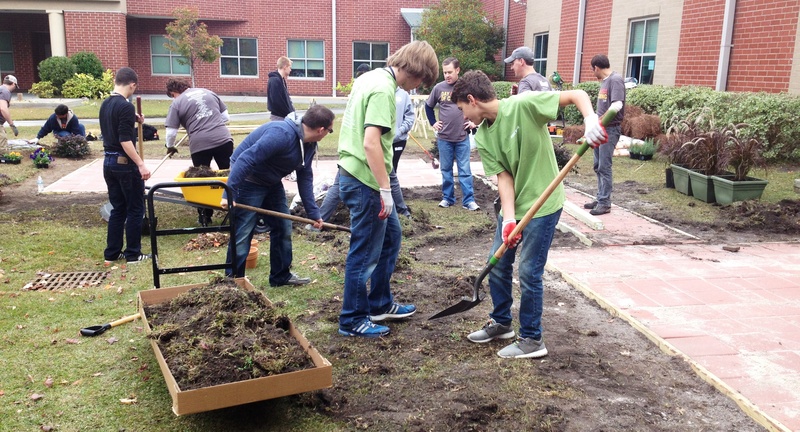 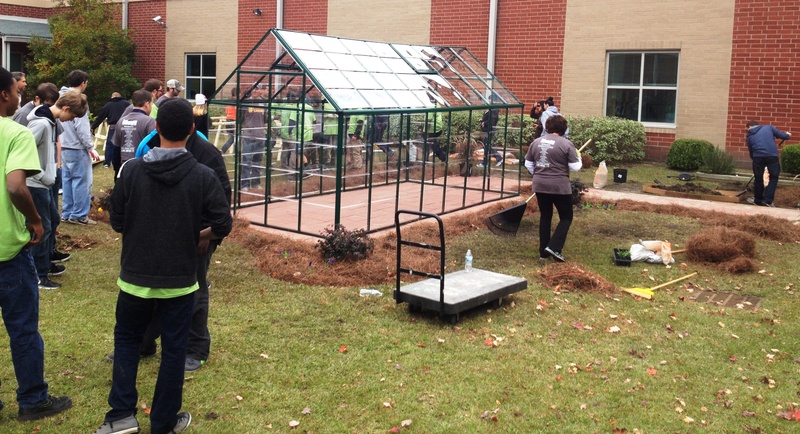 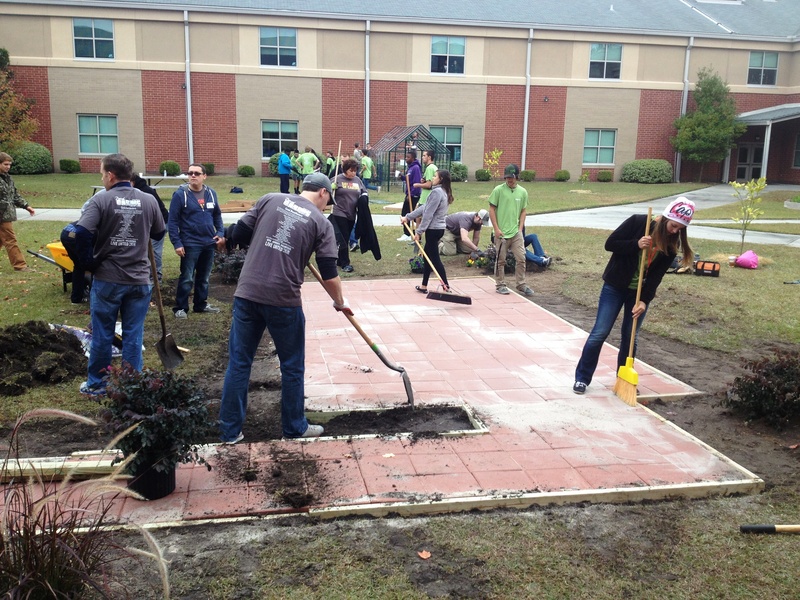 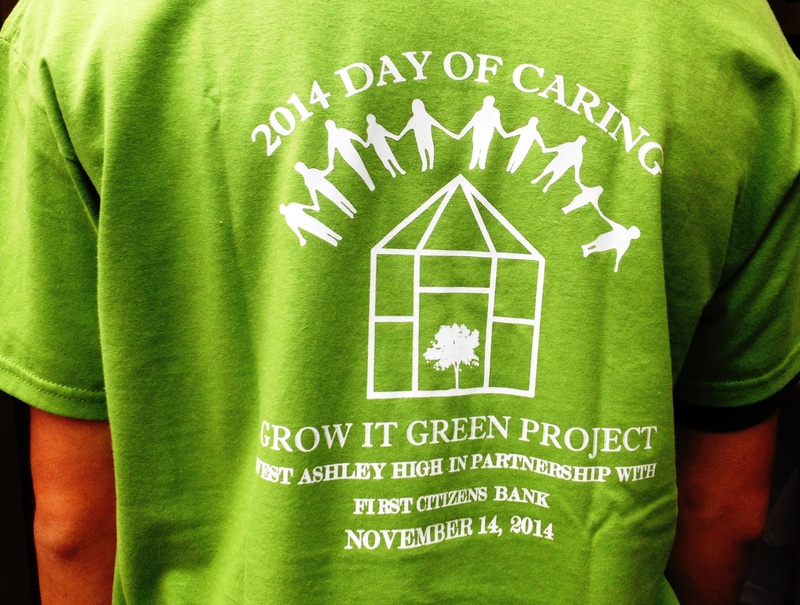 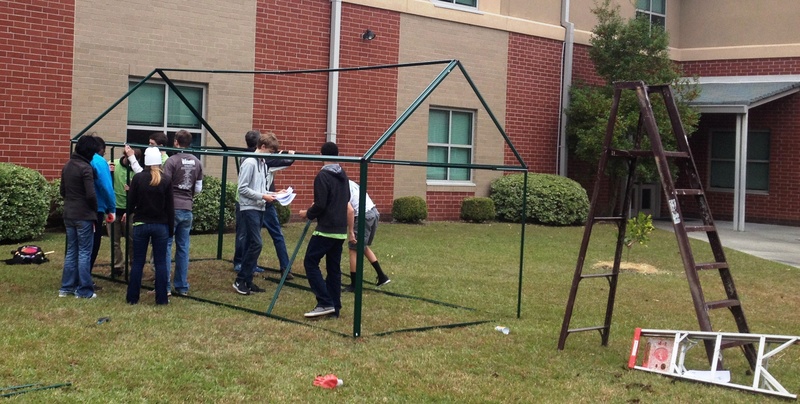 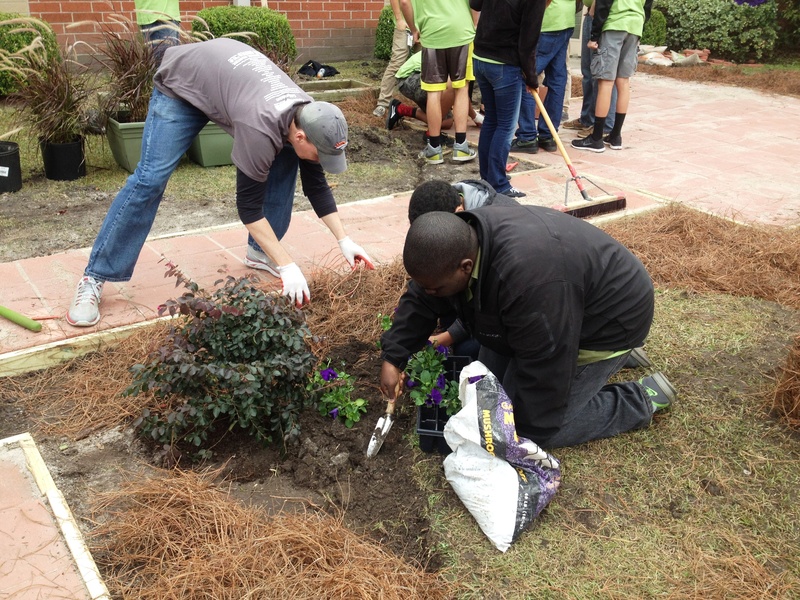 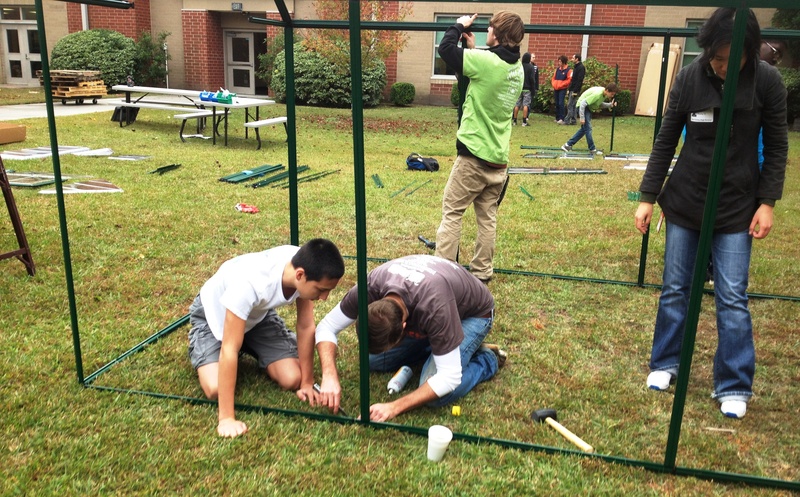 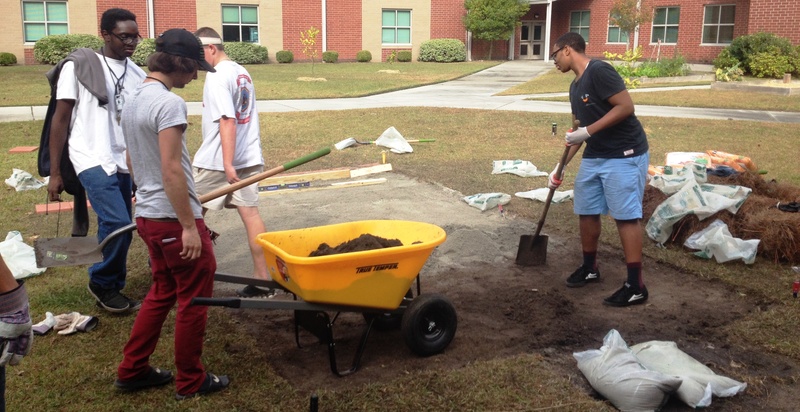 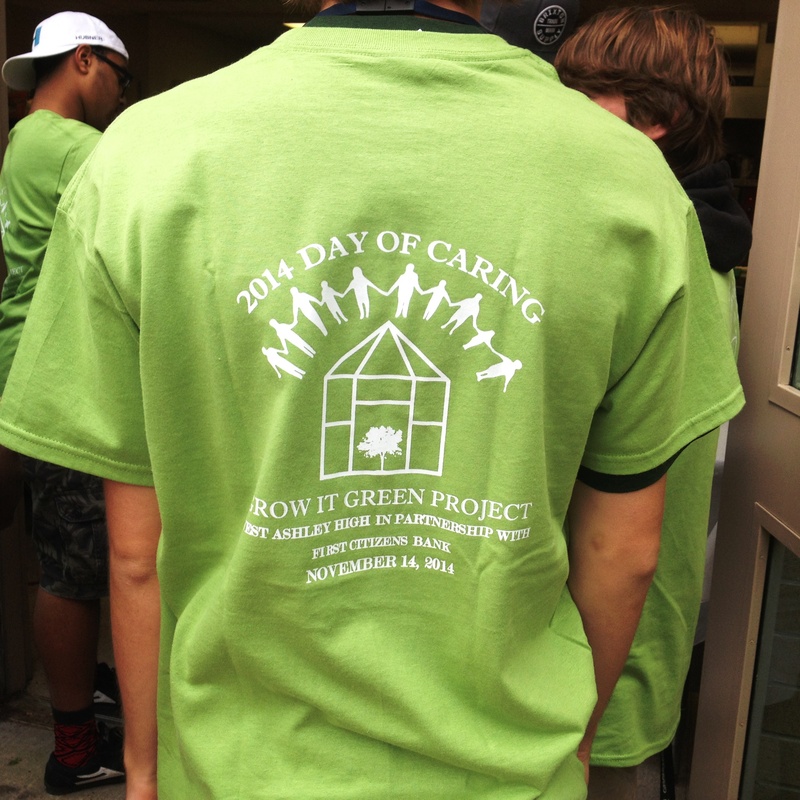 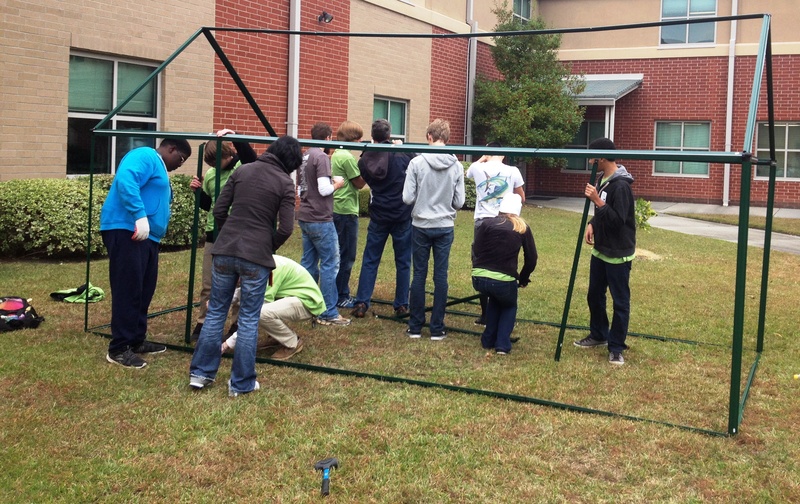 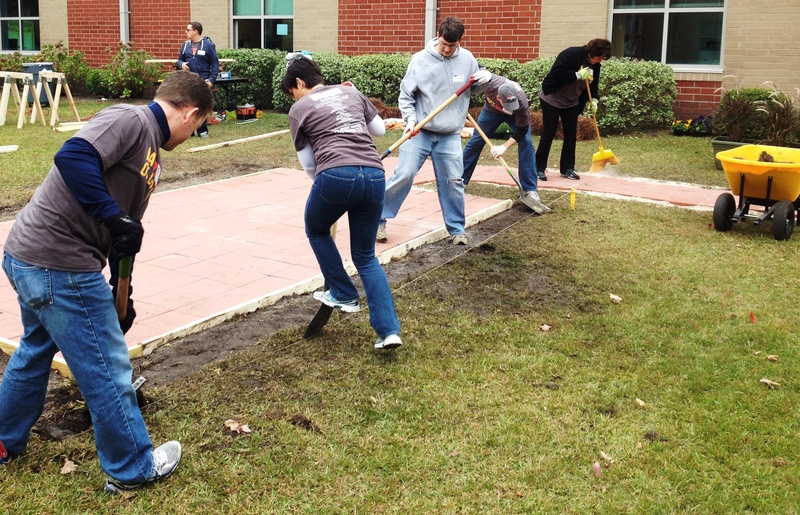 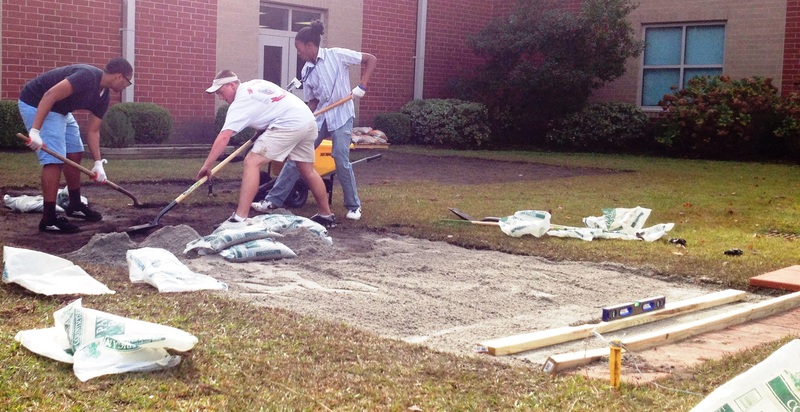 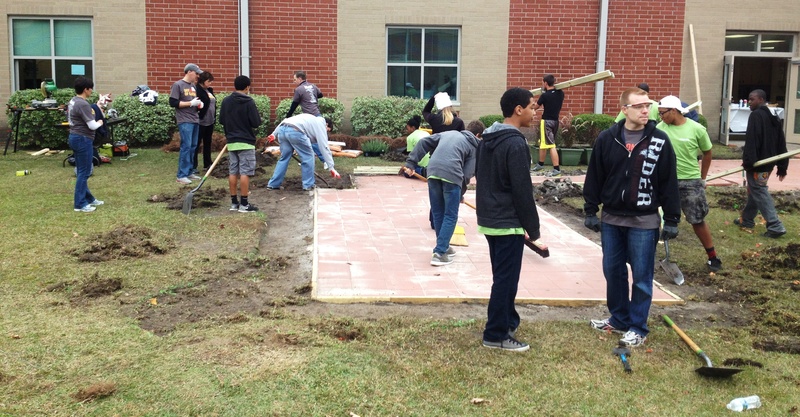 The project received a $5000 grant from the SC Green Fair, and will promote wellness, nutrition, and conservation at West Ashley High School for many years to come. 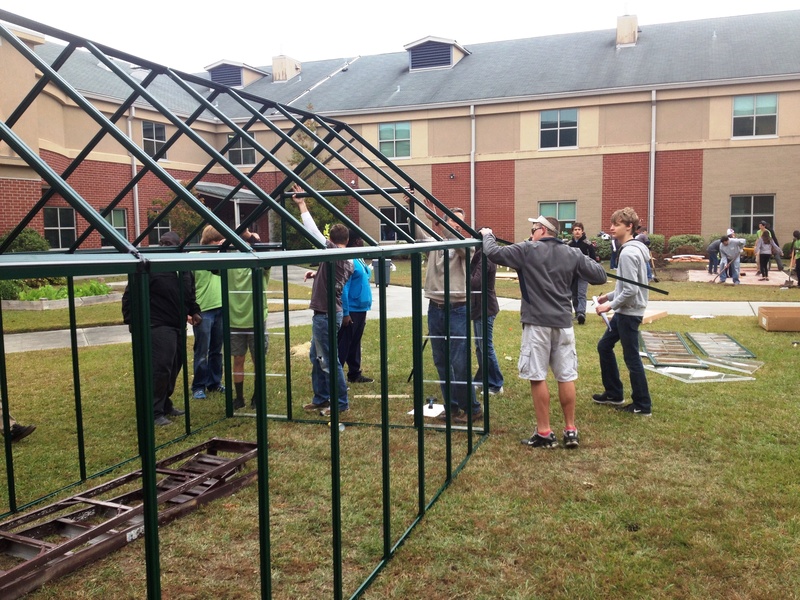 Check out this video of the finished greenhouse structure being moved into place, and pictures documenting the whole installation process below! 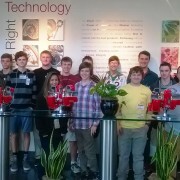 Cecil Gainey’s mechatronics students from Wando High School recently enjoyed an informative and interactive visit to Cummins Turbo Technologies facility in Charleston. Student were impressed with the size of a 300 pound diesel turbo engine and the research & development, commitment to quality, and local teamwork required to ensure it’s optimal performance. 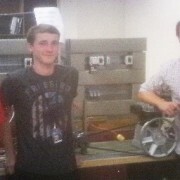 These massive Cummins engines will be installed in a variety of seagoing vessels, sometimes in multiples of 2 or more. 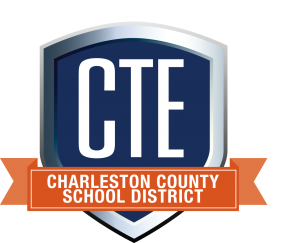 “Thanks to Mr. Z Dixon, and all the local Cummins team members for enabling students to see first-hand the career opportunities that await them in the vibrant manufacturing sector here in Charleston”, said Mr. Gainey after the visit.